Suprise!! creepy naked bird girl! 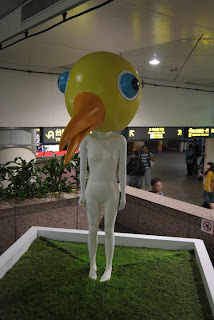 at the Taipei MRT Main Station. It also leeks water from it's head. I don't get it? This piece of art is called Daydream. Oh and the Rolleicord is fixed. Fresh 120 roll loaded ready for trials.